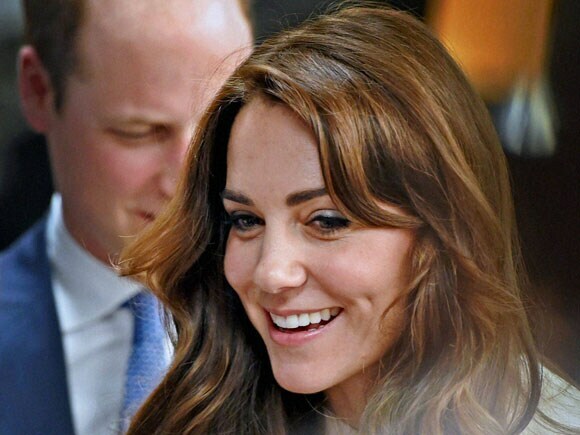 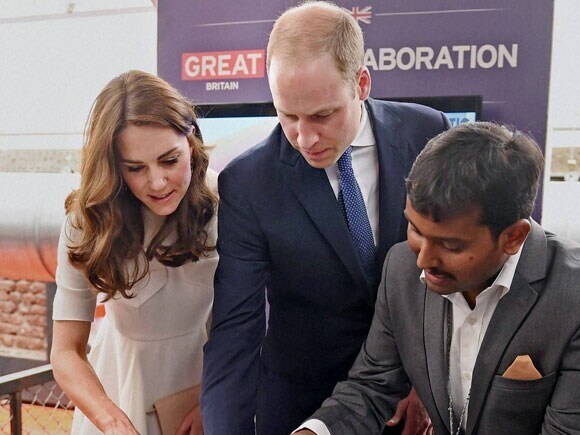 Britain's Prince William, and his wife, Kate, the Duchess_of Cambridge during the launch of 'Tech Rocketship Awards' in Mumbai. 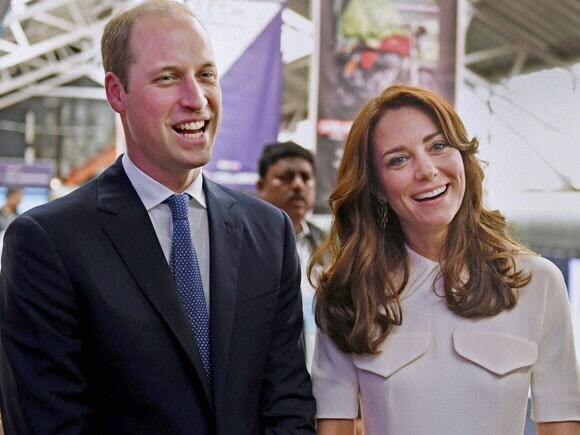 Britain's Prince William, and his wife, Kate, the Duchess of Cambridge during the launch of 'Tech Rocketship Awards' in Mumbai. 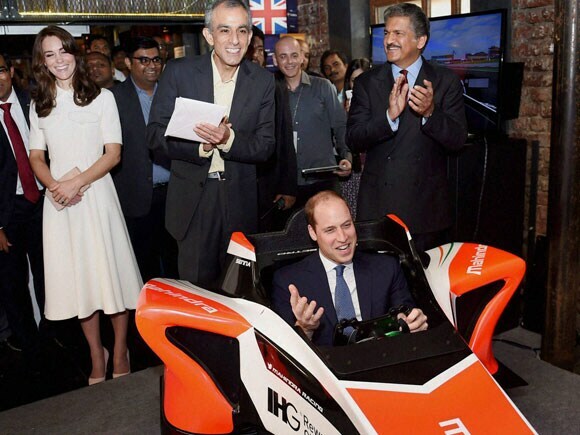 Catherine, Duchess of Cambridge along with CMD Mahindra group Anand Mahindra during the launch of 'Tech Rocketship Awards' in Mumbai. 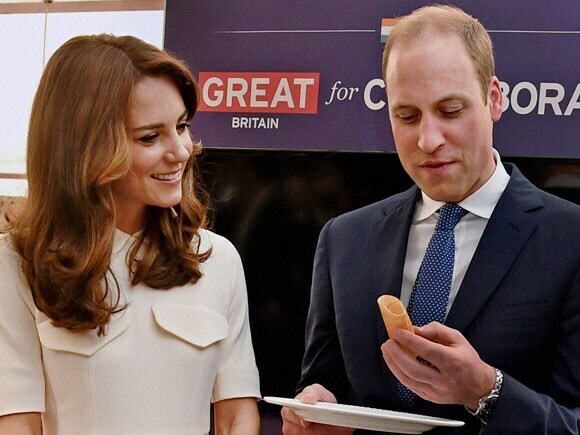 Prince William, Duke of Cambridge and Catherine, Duchess of Cambridge admires a dosa during the launch of 'Tech Rocketship Awards' in Mumbai. Prince William, Duke of Cambridge and Catherine, Duchess of Cambridge eats a dosa during the launch of 'Tech Rocketship Awards' in Mumbai. Prince William, Duke of Cambridge sits in a car simulator as Catherine, Duchess of Cambridge watches him during the launch of 'Tech Rocketship Awards' in Mumbai.